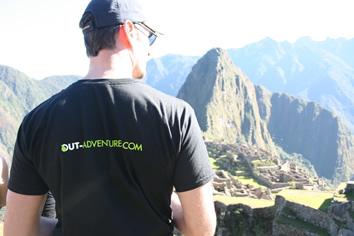 OUT Adventures is proud to travel with more gay groups to Peru than any other Gay & Lesbian tour operator. Along the way you'll be accompanied by an OUT Adventures guide, you'll stay at gay-welcoming accommodations that have been hand-picked by our team of experts and you'll enjoy the best of Peruvian cuisine. Worried about roughing it? Don't be! This active trip for gay men, their friends and family features some of our favourite 3 and 4 star hotels, and yes, some camping. Well, glamping actually. 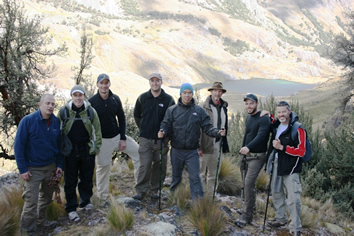 Our crew of guides, porters and cooks will make your Inca Trail experience is like no other. We recommend booking this tour as early as possible, as a limited number of Inca Trail permits are issued, and they often sell out months in advance. This is a list of included activities on this trip. All other activities are optional and at your own expense. If you choose not to participate in these activities, the cost will not be refunded. Featuring an outdoor heated swimming pool, a fitness centre, and a restaurant, Dazzler Lima Hotel offers self-catering accommodation with free Wi-Fi and buffet breakfast in Lima. Guests will be received with a complimentary welcome drink. Guests at Dazzler Lima can relax in the sauna or use the computers with free internet. Laundry services can be arranged upon request for an extra fee. Providing a tranquil environment, the rooms in Dazzler Lima feature private bathrooms, cable TVs, kitchenettes and air conditioning. Miraflores is a great choice for travellers interested in Shopping, Gourmet Food and Friendly People. El Mercado Hotel is located in Cusco, a 5-minute walk from the main square and Cathedral. Free Wi-Fi access is available. Rooms here will provide you with a private bathroom with shower and cable TV. At El Mercado Hotel you will find a 24-hour front desk. Other facilities offered include luggage storage and a laundry service. The property is a 10-minute drive from Alejandro Velasco Astete airport. Sleeping - This trip has three nights of camping. All tents are set up by guides/porters and sleeping pads are provided. Food - During the trek on this trip there is a private dining tent with a fully supported cooking staff. Three meals per day are provided on the trek portion of this trip. Luggage - During the day while on the trek, porters will carry your duffle bag. This bag is provided the night before the trek begins, and has a 6kg limit (including clothes, supplies and your sleeping bag). The only thing you will need to carry is a day-pack. Be prepared for some serious physical activity. This includes treks of up to 6 hours per day at high altitudes. The fitter you are, the more you will enjoy your holiday. Expect to rough it every now and again, whether it's very simple group-share accommodation while camping, a mix of private minivan and train travel, and the occasional cold shower. Allow USD $500 for meals not included. 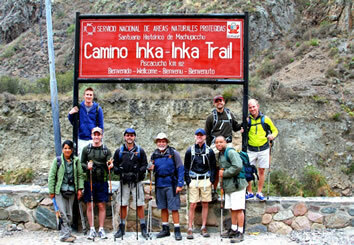 The Inca Trail is a moderate 4 day hike at high altitude. Should you choose not to hike the Inca Trail, please advise us in writing at the time of booking, so alternative arrangements can be made. Without prior warning, local fees may apply. There are no activities planned until our group pre-trip meeting at around 2:00pm, followed by an orientation walk in the upscale area of Miraflores. Before our included group dinner at a gay-welcoming restaurant, a great time to try the local specialties such as ceviche! Your private OUT Adventures guide will take you on a tour of the historic centre of Lima. Up for a few drinks tonight? Great, we'll head out to the best gay bar in town! In Lima we use a four-star boutique hotel that is just two years old, and is centrally located. Check-in time at the joining point hotel - Dazzler Lima Hotel is at mid day. Early check-in is not guaranteed, however if you arrive early luggage storage is available. For those who arrive early, we recommend you talk a walk around Miraflores. Go from Central Park (Parque Kennedy) to LarcoMar via Larco Avenue. 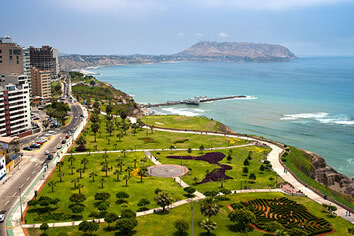 Alternatively, go to Parque del Amor (Love's Park) for a nice view of Lima's beaches. Other things to see and do include a tour to Pachacamac (approx 30 km from downtown Lima), the Museo de la Nacion, Museum of the Inquisition, Gold Museum and Archaeological Museum. Please note that we include an orientation walking tour in downtown Lima so there is no need for you to visit downtown prior to the trip. While Peru's capital officially began life in 1535, when Spanish conquistador Francisco Pizarro founded the city on the Day of the Three Kings, settlements had been scattered through the valley since before the Incas. The city was in fact built on top of existing palaces and temples belonging to the local chief who had little choice but to move on. Lima was in its prime during the Spanish colonial days and much of the city's attraction now lies in its well preserved historic centre. Flanked by streets of ornate colonial mansions, palaces and churches, Plaza Mayor is the best place to start any exploration of Lima. Take a walk through the old streets to get a feel for colonial life. On one side of the plaza is the cathedral, which houses the remains of Lima's founder, Francisco Pizarro. Nearby is the 16th century monastery of San Francisco which boasts a canvas of the last supper that has a distinctly Peruvian flavour: the disciples dine on guinea pig and drink from gold Incan cups. But the monastery's catacombs are the real draw, and have been Lima's underground general cemetery for hundreds of years. Another fascinating church is the Iglesia de La Merced, just two blocks from the Plaza. There are many fine museums in and around the city including the Museo del Tribunal de la Santa Inquisicion, which gives a fascinating insight into the Spanish Inquisition and the Museo Nacional de Arqueologia which offers a look at Peru's succession of ancient cultures. Away from the historic centre, mingle with the locals in Lima's cosmopolitan coastal districts of Miraflores, Barranco and San Isidro. Limenos (Lima's residents) are friendly and there are plenty of great restaurants and cafes to sample ceviche, a local seafood specialty. 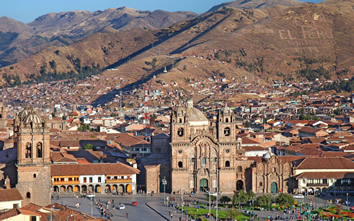 Today we have an early morning flight to South America's oldest, continually inhabited city, Cusco (also spelled Cuzco). We'll go on an orientation walk, and test our hands at chocolate making! We'll stay at a charming new boutique hotel built in a beautiful colonial building in the heart of Cusco. An early morning flight (approx. 70 min) takes us to Cuzco (also spelled Cusco). As we will arrive around 9am, the hotel rooms in Cuzco may not be ready, however a safe place will be provided to store your luggage. Your leader will take you on an orientation walking tour including a visit to the local San Pedro market. The Cuzco region truly is the heart and soul of Peru. The city itself is the continent's oldest continuously inhabited city and was the home of the Incas for two centuries before the Spanish built their first capital here. Today, Cuzco is a fascinating combination of both cultures. Inca-built walls line the central streets and many of the elegant colonial buildings are built on or around Incan foundations. This is a city steeped in history, tradition and legend, and is a perfect base for outdoor activities and optional explorations into the Incan world. Take the time to acclimatize to the city's 3,400 m (11,150 feet) altitude and explore the many baroque churches and ancient temples that dot the city. The cathedral, built on top of an Inca palace, dominates the Plaza de Armas, Cuzco's picturesque heart. The cathedral is one of the city's greatest repositories of art and houses an elegantly carved choir stall and a gold-covered Renaissance altar. Also worth visiting are the churches of La Compania, La Merced and San Blas. This morning we'll travel to the Sacred Valley which has long been known as a lush, fertile area, and the main source of food for the high Andes. We'll visit a farming community before heading to our cozy hotel in Ollantaytambo - a geometrically perfect town known for the huge terraces that guard the ancient temple that overlooks the valley. This evening you'll enjoy our cozy bed and breakfast located in the centre of Ollantaytambo. This morning we travel by private minivan through the Sacred Valley on the outskirts of Cuzco. Known as Wilcamayo to the Incas, the lush, fertile valley has long been the main source of food for the high Andes. Maize crops can be seen surrounding the river and covering the terraces carved high into the valley walls. We will head to a community along the Valley to learn about local lifestyle and activities. If our visit coincides with market day we can spend time browsing the stalls in search of hand-painted gifts or warm ponchos and perhaps even try some of the local language, Quechua. After our visit to the community we transfer to Ollantaytambo, the most popular town of the Valley. Situated at 2,792m above sea level, where houses have been built over an ancient Incan town, and which still has the remains of an Inca fortress popular in historical Incan stories. We spend the night in Ollantaytambo at the far end of the valley. This geometrically perfect town is a magnificent example of Incan urban planning. It is especially admired for the huge terraces that guard the great temple-fortress that clings to cliffs. This is one of the few places the Incas defeated the Spanish. 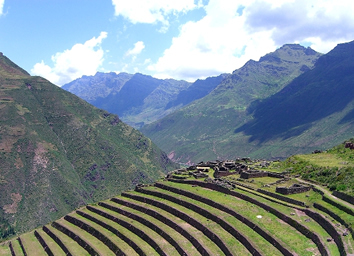 Trek along one of the trails that once linked the Inca Empire. The ancient paths wind past mountains, across high plateaus and through dense cloud forest and temple ruins. Climb over challenging mountain passes, including Dead Woman's Pass, and camp out in the evenings. On the final day, climb the steps to Intipunku, the Sun Gate, and watch magnificent Machu Picchu rising from the mist. 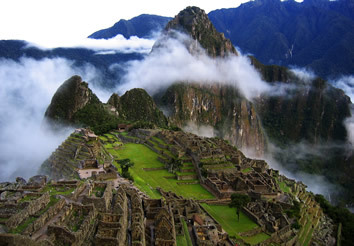 Rest for a moment before striking out to uncover the mystery of these amazing Inca ruins. Travel back to Cuzco by train and private transfer. The four day Inca Trail to Machu Picchu is a demanding but incredibly rewarding trek. We take our private transfer to the 82 km marker where we're joined by our crew of local porters, a cook and our Inca Trail guides. The trail is part of a series of Incan highways that linked the empire all the way from Quito in Ecuador, to Santiago in Chile. On the trek, you will share a tent with another traveller for three nights, unless you have booked a single supplement in advance. 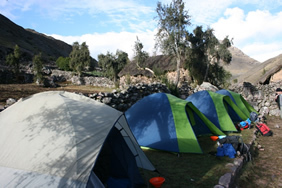 A foam camping mat will be provided to you, your tent will be set up by the porters, and meals will be prepared by the Inca Trail cook and his/her assistancts. The starting point of the trek (the 82 km marker) is located at 2,850m above sea level. Day 1 of the trek includes some uphill hiking to the campsite (over 3,000m above sea level). Take advantage during the 4 days of the trek to get to know your porters. You will realize they work the hardest on the team and are gentle people willing to share with you their culture, language and trek experiences. Today you will see the ruins of Llactapata, burnt to the ground by the last Inca emperor to discourage Spanish pursuit down the trail. The second day is the most challenging of the trek as we ascend a long steep path (approx. 4 hrs) to reach the highest point of our trek, Warmiwanusca, or Dead Woman's Pass, at a height of 4,200 m (13,779 ft), before descending to the Pacaymayo Valley (3650m above sea level). Depending upon what has been established by the Government, you might camp here today, or may need to continue further up/down. We might cross the first and second passes on day 2. From the second pass, Runkuracay (3,980m above sea level/90min uphill) we can enjoy views of the snow-capped Cordillera Vilcabamba before descending to the ruins of Sayacmarca (90-210min downhill). From here it is only a few more minutes to the Chaquicocha campsite (3,620m above sea level). On day three we continue over the third pass and soon reach the beautiful ruins of Phuyupatamarca, the 'Town above the Clouds' (3,850m above sea level/90min uphill). Start descending real Inca Steps (2 hrs) to reach our final night's camp by the Winay Wayna, or 'Forever Young' ruins (2,750m above sea level), with panoramic views of the valley below. Day four sees a short final hike (90-120min) to Machu Picchu and we climb the steps to the Sun Gate to watch the ruins emerge from the mist below. The feeling as you see the ruins for the first time is indescribable. While it is thought Machu Picchu was built around 1440 AD as a country retreat for Incan nobility, there is evidence this had been a sacred Incan site for much longer. Another school of thought is that this was an astronomical observatory. There is plenty of time for you to decide for yourself as you wander around the many temples, palaces and living quarters. You will have a guided visit (1.5-2 hrs) with plenty of free time afterwards. After taking advantage of the seemingly endless photo opportunities, it is time to return to Cuzco for a well deserved shower and a Pisco Sour in first class in the Vista Dome train. NOTE: Due to our safety policy, our leader and office are not able to recommend or assist with climbing Wayna Picchu. If you wish to do this, you will be required to sign off of the OUT Adventures trip and purchase a second Machu Picchu ticket to include entry to Wayna Picchu. For those passengers not interested or unable to hike the trail it is possible to spend an extra 2 extra days in Cuzco then travel by train to Aguas Calientes. The following morning there will be a bus to Machu Picchu so passengers can join the rest of the group for the guided tour. This option must be arranged at the time of booking or local fees will apply. During the trek the bulk of your luggage will be stored at your hotel in Cuzco. The evening before you start the Inca Trail, you will receive a small duffle bag to pack clothes, sleeping bag and personal items that you'll need for the next 4 days (6 kg maximum). Make sure to pack what you want to wear in your photos at Machu Picchu because you wont have access to your full luggage until after the trek! Your team of porters will carry these bags for you, together with the food and equipment for the trail. Please note that you will not have access to these items until the end of each day, as the porters will always be ahead of the group, so bring a daypack to carry any supplies you may need during the day. Day 8 begins with a visit to the archaeological sites of Saqsayhuaman, Qenqo and Tambomachay via private transport. Your afternoon is free to explore or relax. This evening we will have our included farewell dinner at a lovely gay-owned restaurant with a quirky design and great food. You are free to depart at any time on day 9. Check out time is 10:00am. As you'd expect, activity is key on an Active trip. But, we're not jumping off cliffs or paragliding - unless you want to, and hey, that's entirely your choice. You will however, be exploring new worlds by bike, foot, raft, or perhaps a four-legged animal. Active Adventures are the ideal way to travel if you want plenty of cultural interaction whilst staying physical. Please note that Peru is a developing country whose infrastructure, values, customs and standards may differ from what you expect in your homeland. Expect poor road conditions and be prepared for some inconveniences such as restaurants and tourist sites being closed from time to time. Sometimes the transportation may be altered or the itinerary may be changed due to circumstances beyond our control. Public Display of Affection are not common in this area however in some cases holding hands is acceptable. Gay Specific Activities and gay-hosted events, meals or day tours may be included as part of this itinerary. For the trek on this trip the general rule is you will need to be fit and the more preparation you have done for it, the more you will enjoy it. You will be walking with your day pack, with the possibility of extreme variations in temperature. On day 2 of the Inca Trail you will be walking uphill from 3000 to 4200 metres above sea level before descending steeply through big steps and difficult terrain. While this challenging walk is the main difficulty our passengers face up on this trip, it is also one of the highlights and worth every minute of it! This being said, we recommend that you undertake regular aerobic exercise in the months before you travel, particularly if you are not in the habit of regular exercise. Doing mountain walks or climbing long staircases with a pack is good preparation. Walking, jogging, swimming or riding a bike are all good ways to increase your aerobic fitness, which will allow you to enjoy the trek to its fullest. 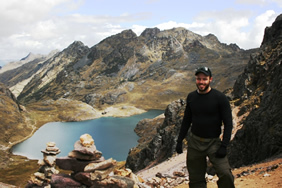 Altitude sickness and oxygen deprivation may be felt while travelling in Peru, particularly when arriving in Cuzco (3300 metres). Symptoms include shortness of breath, headaches, general lethargy and a reduced appetite. It is important that you drink plenty of water and don't attempt too much in a day. • Stay in Cuzco for 2 nights, travel to Aguas Calientes by train for a 3rd night and visit Machu Picchu before returning to Cuzco. Please note domestic airlines allow a maximum of 20kg check in luggage and 5kg hand luggage. Any excess luggage expense will be your own responsibility. Please also note that your return flight from Cusco to Lima is not included in this tour, as we often encourage our guests to spend additional time exploring Cusco. Throughout the trip we request that our hotels prepare rooms in time for our arrival, however this is not always possible which means we will not be able to check-in immediately on arrival at some hotels. Instead we can store our luggage and explore our new destination. There are some simple breakfasts included on this trip which are comprised simply of bread, butter, jam, coffee/tea and juice (or similar). As a multi-geographical country, Peru can have very diverse weather. The dry season (April to September) can be freezing in the highlands, cold in the coastal zone, and could present some cold fronts in the jungle. It is recommended that you bring a good sleeping bag, thermals, scarf, gloves, and a warm jacket for travel in the dry season. Most of our guesthouses do not have heating, as this would be a major financial and environmental strain on our hotels and local towns, and energy supply and timing provisions are limited in some places. Please be prepared for some cold showers. Please note that visas are the responsibility of the individual traveler. The visa requirements for your trip vary depending on where you are from and where you are going. We keep the following information up to date as much as possible, but rules do change. It is important that you check for yourself. Please allow approximately US $4 for each domestic departure tax and US $31 for international departure tax from Lima. There are no vaccinations required for this trip, however countries that you are travelling to before or after Peru may have restrictions in place for people who are travelling to or have travelled to countries in South America, with specific relation to Yellow Fever. With ATMs being widely available in major towns and cities, credit and debit cards are the best way to access money - note though that charges are made for each transaction. Please check with your bank before departure that your card is accepted in the countries you are travelling to. Also ensure your bank is aware of your travel plans as - suspecting fraud - they may cancel your cards after the first few international transactions. Be aware that your withdrawing limit may vary from country to country (regardless of your withdrawing limit in your home country) and it can be as low as the equivalent to US$100 per day. Restaurants: Tipping is not expected in local markets and basic restaurants. However if you wish to tip, round your bill up to the nearest 5%. More up-market restaurants we suggest up to 10%-15% of your bill. Some restaurants already include tipping on the final amount, which should be shown on the bill as: propina, servicio o cubiertos. Local guides: Throughout your trip you may at times have a local guide in addition to your leader. We suggest USD 2 per person per day for local guides. Drivers: You may have a range of drivers on your trip. Some may be with you for a short journey while others may be with you for several days. We would suggest a higher tip for those more involved with the group however a base of USD 1-2 per day is generally appropriate. Your Group Leader: You may also consider tipping your leader for outstanding service throughout your trip. The amount is entirely a personal preference; however as a guideline $5-10 USD per person, per day can be used. Of course you are free to tip more or less as you see fit, depending on your perception of service quality and the length of your trip. Remember, a tip is not compulsory and should only be given when you receive excellent service. 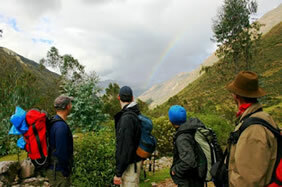 Inca Trail Staff: While on the Inca Trail, we suggest that each OUT Adventures guest contribute PEN 100-130/USD 35-50 which will be split between all porters, assistants and cook. The best way to get from Lima's International Airport Jorge Chavez into the city is by taxi. As you walk out from the luggage collection area, you will find the official taxi counters. We can recommend you to take Taxi Green services. They will charge you 50 soles for a trip to Miraflores. If you have pre-booked an airport transfer and have not made contact with our representative within 20 minutes of clearing customs and immigration, we recommend that you make your own way to the Joining Point Hotel - Arawi Lima Hotel. No refund is available on missed transfers or portions of your trip owing to a different flight arrival or delayed flight arrival. Any additional cost incurred in order to meet up with your group is at your own expense. We don't expect any problems but if for any reason you are unable to commence your group trip as scheduled, please contact your starting point hotel, requesting that you speak to your OUT Adventures group leader, or leave a message for your trip leader. Generally speaking, we recommend that you pack as light as possible. On this trip you will be expected to carry your own luggage from time to time, and you must keep the weight of your main bag under 20kgs/40lbs for domestic flights. You may also want to bring a daypack for any items that you'll need throughout the day when you won't have access to your main bag. There will be opportunities during the trip to do laundry, so there is no need to overpack. During the trek the bulk of your luggage will be stored at your hotel in Cuzco. The evening before you start the Inca Trail, you will receive a small duffle bag to pack clothes for the next 4 days (6 kg maximum INCLUDING SLEEPING BAG). Your team of porters will carry these bags for you, together with the food and equipment for the trail. Please note that you will not have access to these items until the end of each day, as the porters will always be ahead of the group. In an effort to preserve and protect the Inca Trail to Machu Picchu, the Peruvian governing bodies have taken drastic measures in the past years to limit the amount of people hiking the trail. 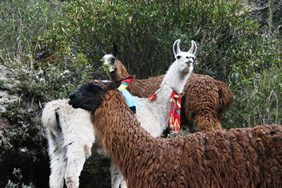 As of March 2004, no more than 500 people (including support staff) per day are allowed on the Inca Trail and this number is strictly adhered to. 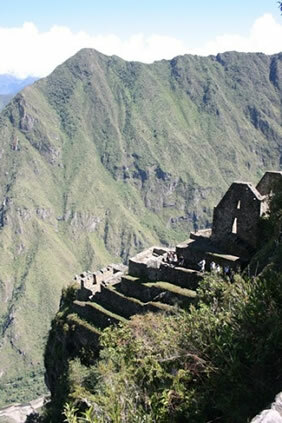 In addition to this, the Inca Trail is closed during the month of February for it's cleaning and maintenance. This closure affects all trips in which the Inca Trail portion of the tour starts on or after the 01st of February to and including the 28th of February. As Sustainable Tourism is constantly at the forefront of our business philosophy, OUT Adventures is happy to work within the framework of these regulations in order to properly protect the Inca Trail and Machu Picchu. Our company policies regarding the Inca Trail are put in place in order to guarantee an excellent passenger experience and also as a way to directly address these issues and make sure that this information is clear and understood. The rules and regulations controlling the Inca Trail and Machu Picchu are continually changing and it is important to be aware of the issues detailed here before bookings and embarking on your adventure to Peru. 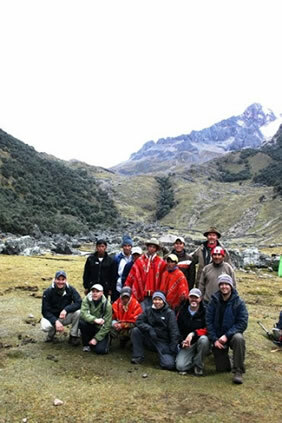 As stated above, no more than 500 people per day are allowed to start the Inca Trail trek at km. 82. This number includes all support staff (ie. porters, cooks and guides) and is very tightly controlled. Once this limit of 500 people is reached, the Trail is effectively closed off for the day and no further bookings can be made. Reservations can not be held on the Trail and all permits to trek must be bought as far as possible in advance (particularly if you are planning to travel between the months of May - August). To purchase the permits Intrepid requires with complete and correct passport information, to which no modifications can be made. For passengers holding 2 passports, details must be provided from the passport you will be travelling on. Any attempts at modifications result in the loss of the permit and all money paid. Upon receiving confirmation for a booking including the Inca Trail, Intrepid will attempt to purchase the respective Inca Trail permit. 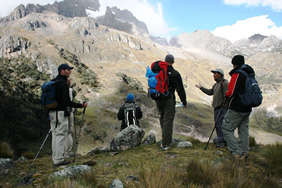 • Hike the Lares Trek (view the itinerary) through the Sacred Valley, a fascinating and challenging 4-day, 3-night trip ending in Aguas Calientes and Machu Picchu. 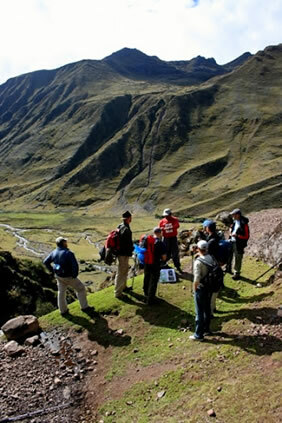 This trek takes in much of the Inca's most sacred and important countryside and many monuments. All transportation, accommodation, guide services etc. will be included. • If Lares trek was also unavailable you will then spend two nights in Cuzco, travel by train for a night in Aguas Calientes, and visit Machu Picchu on day 4. Please note that as Inca Trail permits are non refundable and non transferable, any date change to confirmed trip which includes the Inca Trail will incur cancellation penalties. On an OUT trip you will be travelling with other gay or gay-friendly passengers. We encourage open minded friends and family to join our trips. As you travel on a group trip you will be exposed to all the pleasures and maybe some of the frustrations of travelling in a group. Your fellow travellers will probably come from all corners of the world and likely a range of age groups too. We ask you to be understanding of the various needs and preferences of your group - patience with your fellow travellers is sometimes required for the benefit of everyone's travel experience. Remember too that you have responsibilities to the group. If you are requested to be at a place at a certain time, ensure that you don't keep the rest of the group waiting. We have found time and time again that the very best trips we operate are those where the dynamics within the group work well - this takes just a little effort on your part.